BOSTON -- Responding to years of derision by President Donald Trump and other critics, Sen. Elizabeth Warren had a DNA analysis done that provides strong evidence she does, in fact, have Native American heritage. The analysis on the Massachusetts Democrat was done by Stanford University professor Carlos D. Bustamante, The Boston Globe reported Monday. He concluded Warren's ancestry is mostly European but says "the results strongly support the existence of an unadmixed Native American ancestor." Bustamante, a prominent expert in the field of DNA analysis, determined Warren's pure Native American ancestor appears "in the range of six to 10 generations ago." That meshes with Warren's narrative that her great-great-great-grandmother, O.C. Sarah Smith, was at least partially Native American. That would make Warren 1/32nd Native American. But if her ancestor is 10 generations back, that could mean she's just 1/512th Native American, something that could further excite her critics instead of placating them. Those critics have charged that Warren advanced her career with a narrative she is a descendant of the Cherokee and Delaware tribes. Mr. Trump has repeatedly mocked her as "Pocahontas," at a July rally going so far as to offer $1 million to a charity of her choice if she took a DNA test that proved her claims. But Mr. Trump denied ever saying that in an interaction with reporters. "I didn't say that, you better read it again," Mr. Trump said. Asked about the test results, the president initially said Monday morning, "Who cares?" Asked about his comments by a reporter later Monday, Mr. Trump clarified that he would only do so if she won the Democratic nomination and if he could administer the DNA test personally. "You mean if she gets the nomination, in the debate where I was going to have her tested? I'll only do it if I can test her personally. That will not be something I enjoy doing either," the president said. Warren is seeking re-election to a second term in Massachusetts and is a potential 2020 presidential contender. Does Sen. Elizabeth Warren have plans to run in 2020? CBS Boston says Warren releasing the results increases speculation she intends to run for president in 2020. Warren has said she will take a "hard look" at running against Mr. Trump in 2020. Her Senate campaign produced a video posted on The Globe's website in which Warren says: "The president likes to call my mom a liar. What do the facts say?" Bustamante replies: "The facts suggest that you absolutely have Native American ancestry in your pedigree." The Globe said Warren provided the test results to the paper Sunday "in an effort to defuse questions about her ancestry that have persisted for years." 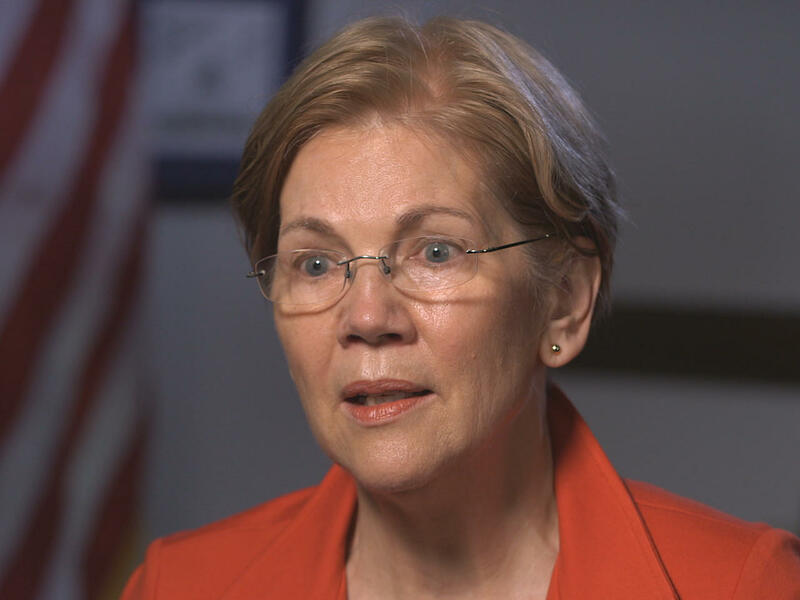 She released them to the public Monday morning in a video on a new website Warren's staff created to explain her heritage, CBS Boston notes. "This new website has more than you'd ever want to know about the smears, made-up quotes, and invented stories thrown at me," Warren said in a statement. "It has personnel files. It has interviews with the people who hired me – and it has my own family members' opinions about the attacks."